Because Life Should Be Simple. Let us simplify your design project. The Flagstaff Design Center offers the convenience of professional design specialists under one roof; all local and experts in their fields. We are the premier flooring company serving the Flagstaff area. We provide high quality design and installation services and carry the latest flooring products including hardwood, carpet, stone, and tile flooring! Take the guesswork out of getting new floors and schedule your free estimate in-home consultation today! Local, family owned business, fabricating and installing custom stone countertops in the Flagstaff area since 2001. 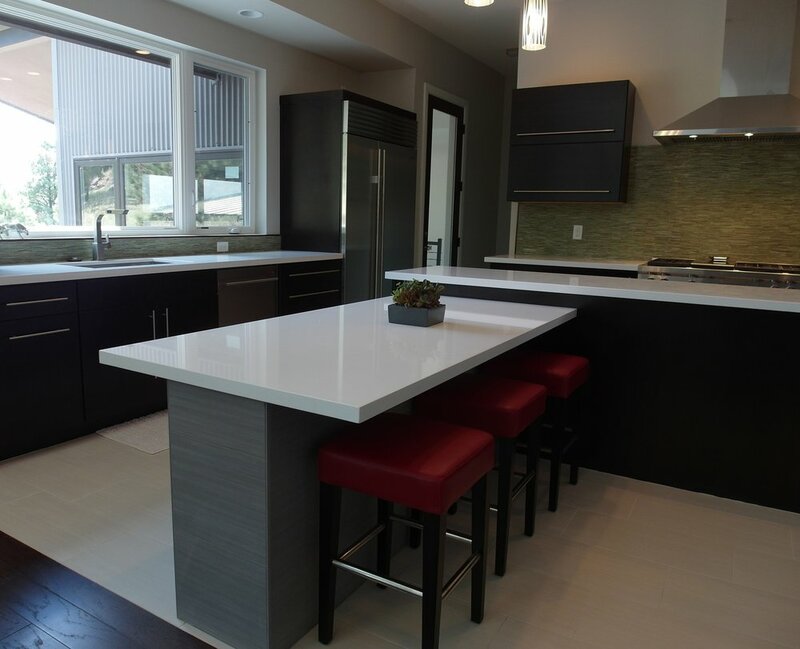 Taking pride in providing custom, high quality countertops with exceptional customer service. Cabinets by Sun Ray has been providing superior cabinetry and kitchen & bath design in Northern Arizona for over 20 years. We offer custom designs utilizing modular cabinets from Dura Supreme, Medallion, Showplace, Omega and Mastercraft. Strikingly innovative windows and doors crafted with time-tested attention to detail; industry-leading energy efficiency; sustainable building practices that put the environment first and service that puts you first. Welcome to windows and doors that never compromise, made by people who don't either. Wired-Up Systems a full licensed, bonded and insured residential/commercial low voltage/communications contractor in the state of Arizona. We provide custom design, installation, alarm monitoring and technology maintenance services across various locations in central and northern Arizona.